Winter sure does take a toll on life around us; as the cold weather descends upon us, everything starts to change. From the hustle and bustle in parks and markets to cold and quiet streets, the entire course of life changes as everything is affected by the decreasing temperatures. Since mechanical and technical instruments contain metals, this means that your vehicle is also affected by the cold. Thus, cars need to be taken care off, both the interior and the exterior. 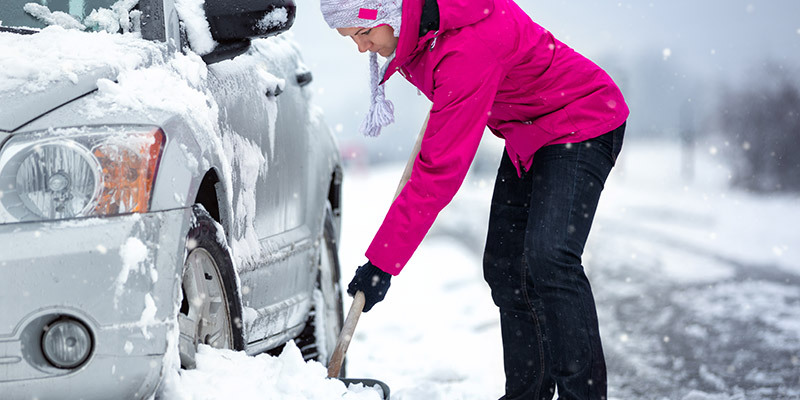 Consideration needs to be given to providing protection from external factors like snowfall, hail, sleet, slippery roads and more, to help maintain your car’s overall condition. Ice on your windshield can cause an obstructed view, which is a cause of many motor vehicle accidents. In winter, be sure to use a high-quality windshield wash that performs well in extremely cold temperatures, such as those minus forty days that we experience all too often in Ottawa. Now, this windshield hack we have to share with you is probably one that you haven’t heard of, but it’s for real – Google it! In the cooler days of fall, before full-on winter weather arrives, to help avoid your car’s windshields or windows from fogging up, it’s suggested that you apply a thin layer of shaving cream on the windshield, and simply wipe it clean after two to three minutes. You’ll notice that your window won’t fog as much since the shaving cream actually contains the same active ingredients as a defogger. Who would have guessed? Your vehicle’s door locks can freeze in very frosty temperatures, making it near impossible to get the key into the keyhole and access your car. You can prevent this from happening by applying sanitizer – yes, basic hand sanitizer can melt the ice inside the lock! Apart from that, to prevent ice build-up on the inside of the locks of your car, you can use a WD-40 spray. If frozen locks have kept you out of your car just once in the winter, you’ll certainly want to follow this ‘winter car protection’ tip. And although it’s obvious, we must remind you that the best place to keep your hand sanitizer, lock lubricant and de-icer is NOT inside your car – keep it in your garage or purse/bag! If you’re not one of these fortunate people who have full-time access to a garage or covered space for your vehicle, then you’ll relate to the pain of getting up in the morning and having to spend up to 15-20 minutes painstakingly removing ice from your windshield. Here’s an interesting winter hack: you can make great use of your old worn out rugs and carpets, and tarpaulins by using them to cover and protect your windshield to prevent ice and snow from sticking. Then, keep the piece of carpet in your trunk and use it to build traction in case you ever get stuck someplace in the snow. 4. Make extra use of those PVC’s! If for whatever reason you find yourself caught without a windshield scraper, no need to fret. Credit cards to the rescue! You can use your credit cards, ID or any other PVC-made card to scrape the snow and ice off windows and windshields. Most everyone carries some similar piece of plastic in their wallet, and this can certainly help you out if you’re in a winter bind. In order to prevent brake dust adhesion, you must use a protective wax for the wheels, because the tires and wheels of your car need as much protection as any other parts. The protective wax efficiently repels snow and ice, which in its absence, would cause sticking and build up. Then we must address your vehicle’s tires. They need to be kept flexible in freezing temperatures to prevent cracking. Tire gel is recommended, and it’s not just to keep that black, shiny new look. It’s also useful in protecting against harmful elements that can cause cracking and fading to your tires. Then there’s the matter of properly inflated tires. Air pressure tends to decrease inside the tires as the temperature drops down, and for this reason, you must pay close attention and check your tires’ pressure often. You can get more information on winter tires here. Now that you’ve read through these hacks, you should be ready to winterize your vehicle and know what to do to protect your car in winter. Need help? Get in touch with us if you need winter tires, or would like a consultation on the tires you currently have.